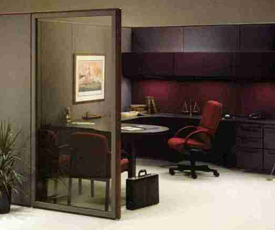 Cubicles have been around for over thirty years. First introduced as “The Actcion Office”, by Herman Miller Company, they have certainly evolved over time and have changed forever the landscape of today’s office workspace. Whatever your requirements, we have the solution for you. 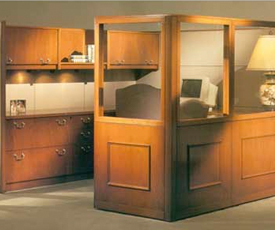 From prestigious, statement-making, high-end generously appointed workstations in wood toned veneers, suited for the front office, to highly efficient 8′ x 8′ fabric covered cubes with loads of filing, storage and functionality to smaller stations for support personnel and telemarketing. Let us work on the open plan system that best fits your needs. Please click on the links below for information and contact us today to place your order.